Considering that all partners countries’ have relevant issues with bullying experiences in school, and that bullying is now known to be a major factor leading to lack of self-esteem, under achievement, nonattendance and drop out from school, the project SafeSchool aims at strengthening teachers skills, knowledge and competences in working with this phenomenon, contributing to an improved and safe school environment, a climate of friendship and cooperation among peers, which will in turn, conduct to further social and professional inclusion of all. 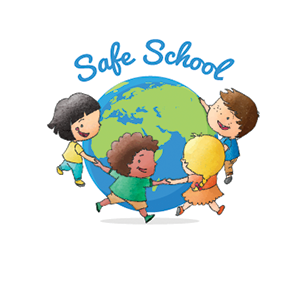 Also, SafeSchool will ensure that the target public will, indeed, have access to the tools created: SafeSchool will design and implement improved anti-bullying programs in schools in 4 EU countries, reaching directly 64 teachers and school staff. To achieve the goals proposed, SafeSchool project will have direct action in 64 teachers and school staff and other 270 educators, parents, decision-makers, psychologists, pupils and youth workers. · A Bullying Multimedia Support Kit – a set of multimedia materials and tools to be used by school managers, counsellors, teachers and trainers to raise the awareness of pupils to the negative impact of bullying in individuals and school community. Fundatia IKAROS (RO) is the coordinator of a partnership integrating 5 other partners: Confederacion Espanola de Centros de Ensenanza Asociacion C.E.C.E. ; MentorTec – Serviços de Apoio a Projetos Tecnológicos, S.A.; E.R.I.F.O. – Vocational Educational Training; BUECON – Nuestra Señora del Buen Consejo; Scoal Gimnaziala, nº79.